You need photos for your projects, but you work with a tight budget. You're always hunting for the best stock photo prices, discounts and promotions to make the best out of your money. Does this describe you? Then you've come to the right place! Stock photo agency Bigstock (sometimes we call it BigstockPhoto) has given us exclusive Coupon Codes for our readers! Whether you are a new or an existing client to Bigstock, we have great deals for discounts in your Credit Packages, your Subscriptions, and both! And those of you buying from Bigstock for the first time, can get 10 Free Credits with your purchase of a 25 Image Credit Pack! Plus, you can try Bigstock free for 7 days! Do you want to know more about these special offers and how to use them? keep reading! Do you want to try Bigstock before committing to a subscription or buying a credit pack? With this deal you can try Bigstock for a week for free! The free trial allows you to download up to 35 Royalty-Free stock images from Bigstock library free of charge, for a period of 7 days. Bigstock will ask you to introduce your credit card details in order to access their service, but won't charge you anything for the duration of the 7-day trial. Once that period concludes, Bigstock will begin charging fees to your credit card for the use of their service. So once your free trial is done, you can either cancel your account, or move on to buying a credit pack or hiring a subscription. If you decide you don't want to buy more photos from Bigstock, remember to cancel your account before the Bigstock 7 day trial is over, to avoid any charges. Ready to start exploring Bigstock? Grab your coupon now and start downloading Bigstock images for free! Get greater value from your Bigstock Image Package purchase! With this offer, new customers who buy a 25 Image Credit Pack at Bigstock will get 10 Free Credits to download more images! To seize this opportunity, just register as a new customer at Bigstock. After registration and purchase of a 25 Image Credit Pack, you will receive 10 Free Credits in your account. You can use these free credits to download any photo or vector from Bigstock's collection of over 35 Million Images. 10 Free credits equal 10 Web resolution images, for free! There's no need for any additional coupon codes, just register via our Exclusive Link here. Both new and existing customers can get a discount on their credit packages with this offer! If you're looking to buy stock photos on demand, then this coupon is for you! With this special deal, you get a 15% discount on your purchase of any of Bigstock's Credit Packages. Save in your downloads of high quality images with Bigstock! Looking for a stock photo subscription? 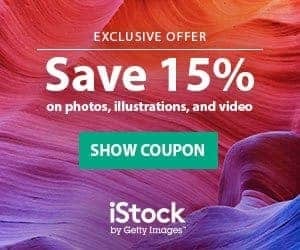 Bigstock has a broad offer in subscriptions with daily and monthly download limits, and with this coupon you will save 15% of the price on your purchase of any Bigstock subscription! This deal is valid for new and existing clients, so hurry up to get your 15% discount now! Save in your Stock Photos our Bigstock Coupon Code! This is a great deal, for new customers only, to get a discount in your Bigstock photos, whether buying Credit Packages or Subscriptions! How does the Bigstock Coupon Code work? Tell us in the comments what you think of Bigstock and how you plan to spend your credits! We hope you like our Big Stock Promo Codes! 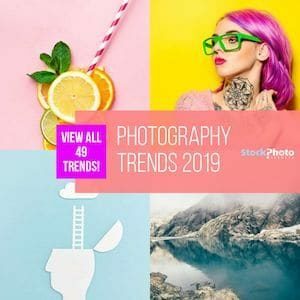 Owned by Shutterstock since 2009, Bigstock, just like most other high quality stock photo agencies, has a huge number of images available in their library. Over 35 Million, none the less. But one remarkable feature in Bigstock is how well organised and highly searchable their library is. Their valuable offer to customers is they can find high quality stock photos with great ease. Bigstock provides a very intuitive search process for their high quality collection of stock photos. With our special offers above, you can start taking advantage of these great features! Sure Bigstock's 35 Million images might seem small compared to the over 80 Million images their parent company, Shutterstock, has. But it's still a huge collection of high quality stock photos, with a lot of variety to ensure all buyers can find what they're looking for. And Bigstock's pricing offer is much wider than Shutterstock's. They have more options for both image packages and subscriptions. Want to know more? Read our full explanation on Shutterstock and Bigstock's pricing here. Bigstock shares some features with Shutterstock. They add value to their collection by providing a great search experience for buyers. Thier catalog is highly searchable, and their easy to use but yet advanced search and filtering system allows you to find the images you're looking for faster and easier than in other agencies. If you're new to Bigstock, now you can explore their offer with our special Bigstock Coupon Code for new customers. Unlocking the coupon will get you 10 Free Credits to buy any images that you want. Get your Bigstock Coupon Code now with our Exclusive Link, and start experiencing Bigstock's enhanced search and great photos! How? Just enter your general and more important keywords into the search box field, then refine the results with the advanced filters and more specific keywords to narrow the selection to exactly the kind of stock photos you want. Let's take the example of a search for photos of a dog in the outdoors. First thing to do is to introduce the general keywords “dog outdoors”. The initial results (over 59,000 images) show a great variety of high quality photos of dogs of different breeds, in different locations and situations. Right below the search bar, on the top center of the page, you will find 3 main results-sorting options. One is for Most Popular content, and allows you to view the newest or the most relevant images first. There's also Any License filter, that lets you select between Editorial images (available only for publishing and other editorial uses), Non Editorial (allowing commercial use), and Model Released (this is needed for commercial use when the images include people). And finally the SafeSearch option that hides or shows the content classified as non-appropriate for viewers of all ages. If you're looking for photos to use in an ad or other commercial purposes, you will need to select Non Editorial. Now, if you look at the right of the search bar, you will find the button “Filter Results”, which displays more filtering options. Here you will be able to choose the orientation of the images, and filter by category and by image type (photos, vectors or illustrations); in this case you would want to select “photos”. But you also find advanced functions. The most useful is the one to exclude keywords (and therefore dismiss inaccurate results). Let's say you are looking for photos depicting only dogs, without people. The we exclude the keywords “people”, “man” and “woman” (each word separated by a comma). Now any result that included people is eliminated. In addition, you can filter results by contributor, entering their name, and by the number of people included in the image. The next step is to add more specific keywords to your initial search. Go back to the search bar and introduce further keywords to get the exact images you're looking for. If you add “labrador” to your search, the results now show a variety of photos of labradors of different ages, sizes and colors in the outdoors. And this search process has narrowed your results from over 59,000 to little over 3,400 high quality stock photos that meet all your needs. The only thing left to do is to choose the photos you want, and buy them! If Bigstock's affordable and flexible prices and advanced search engine sound interesting to you, we have a great and exclusive deal for you to start exploring their offer. With our Bigstock Coupon Code, you will get 10 Free Credits: You can download up to 10 web resolution images for free! This means you can explore and get familiar with the purchasing system at Bigstock at no extra cost! To get your coupon you will need to buy a Bigstock 25 image pack. But while you will need to make a small upfront investment, you will be benefiting from access to free photos from Bigstock's great library. How to Redeem My Bigstock Coupon? First, you will need an account on Bigstock, so make sure that you’ve registered to create a new account. Then, follow our Bigstock coupon code link to their site, and from there check out what pricing plans they have to offer by navigating to the “see packs and pricing” button. In order to unlock ten free images with our coupon code, you must first purchase a 25 credit pack, which will cost you $49. With our exclusive code, that adds up to 35 image credits in total for only $49, which is only $1.40 per image. A great deal for on-demand stock photos! To summarize: that’s 10 free photos from Bigstock, on us, with the purchase of a 25 credit pack from their on demand offerings. That’s ten free photos that you can use for any of your business’s needs, including all of your commercial and advertising purposes. That’s ten free photos, and all it takes to unlock them is a few clicks and a small upfront investment in a 25 credit Bigstock photo pack. If that sounds like a good deal, make sure to seize it today with our Bigstock coupon code. In short: Your ten free images, as much as paid images, can be used for any of your commercial or editorial needs, including web promotion, advertising, blog posting, or internal purposes. All Bigstock imagery is Royalty Free, meaning you can use it as often as you like once it’s downloaded and there are very few restrictions on what your photos can be used for. The only main thing to consider is that images bought with Editorial license cannot be used for commercial purposes. There are a few explicit limitations on the usage of your Bigstock photos. Images can’t be used in product for resale, whether they are physical or digital products, the reproduction of the image is limited to 250,000 copies (both digital and print) and use in tv, film or other multimedia is limited to projects with up to 250,000 viewers. Additionally, Bigstock’s photos can be edited as you please, as long as you don’t claim ownership of any of the edited pieces your produce. Plus, you can't use images in a way that depicts models or subjects in an offensive light or manner, (you can read Bigstock’s licensing agreement further to see exactly what that means). Images can’t be used for logos or trademarks either, since you won’t have exclusive rights to the Royalty Free imagery you download. And remember that Editorial photos cannot be used for commercial purposes, but only to illustrate articles in blogs, magazines, newspapers, etc. The agency does have Extended licenses available if you wish to use their stock photos on a product you are selling, and to get other extra rights to use the photos. But in general, the free photos you download from Bigstock with our coupon are yours to use as you please, as you would with any other photos you buy at Bigstock. In brief, our Coupon Code lets you explore Bigstock's service and broad galleries without the time and download limits of the free trial. With a small investment, you get the same number of downloads but a one year period to use them, with no hidden nor additional fees. The free trial lets you get up to 35 stock photos for the lapse of 7 days. Once the week concludes you can keep the photos you downloaded and use them, but you're limited to choose and download the free photos within that week. To access the free trial, Bigstock asks for a valid credit card, and once the 7 days of free trial conclude, they start charging their fees on your card. So, if after 7 days you decide you don't want to buy a credit pack or a subscription with Bigstock, you must cancel your account before the trial expires to avoid being charged with fees. Our Bigstock Coupon Code is a more powerful and flexible alternative. It gives you free credits for 10 free photos that will stay in your account for as long as you want, until you use them. There's no time restrictions. You can use them all up immediately, hang on to them and use them in your next big project, or use one or two every other day or week. It's entirely up to you. For only $49, your image pack does not commit you to any extra fees, so this is a great way to taste the waters with Bigstock and save money! Each of the 10 free photos you get with our coupon is an opportunity to analyze and decide if Bigstock is the right choice for you, and if getting a subscription will worth your while. If you are looking for affordable, high quality stock photos for your projects, Bigstock is a great option. The agency offers big variety, powerful search functions, and all of the imagery you could ever need for your business. And with our Bigstock coupon code, you can start exploring that powerful functionality with ten free images today! Hi Karin, thanks for your comment and recommendation. We will also post free photos from Bigstock and other agencies in our Free Photo Section. This is awesome! Thanks a lot. Bought 3 truck photos. Good collection, and great flexibility of purchase (unlike istockphoto). Also, pricing is very reasonable for the service. Good U/I. Hi Pratyush, great that you like Bigstock. I think their prices are very reasonable, especially for the sizes you can get. Awsome!!! I have my 6 credits now, after trying with a bunch of coupon codes, i magically got these credits for free. Hi Carolina, great to hear that you could redeem the Bigstock coupon code successful. Bigstock is a stock photo agency with almost 15 years in business, and was acquired by Shutterstock early on. This company has a very large image library full of high quality royalty free stock photos, and a much wider price range with options for every budget. They sell images on demand using credit packs for between $0,99 and $21 each according to size and credit pack used. With subscriptions you have plenty of choices, between daily and monthly download limits, volume sizes and duration from one month and up to one year. These plans give you images for as little as $0,16 to $2,75 per download. Bigstock is a very reliable agency and it’s worth exploring if you like multiple buying options.